They look extremely tempting! Those chocolate Cannelés are fantastic. Way back in the Stone Age I was in publishing, and in one job my office was next to that of the editor that did the CIA books. Needless to say she became my bestie buddy! Anyway, all of the books I've seen by that group have been at least good, usually excellent. Certainly these canneles look excellent! Fun post - thanks. I want to pop about five or so of these into my mouth right now! They look and sound fantastic! These look delightful and I love that they are so small. Delightful! I may need to have two or three though just to make sure they taste as good as the look! Ohhhh I am swooning! 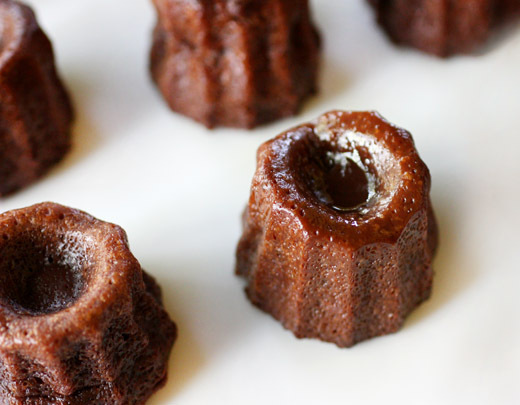 I love canneles and never have made them because I thought they were so difficult. And yeah there is the price of the molds, but if silicone works then I'm in. And chocolate rum? Even better! They look fabulous!! Beautiful canneles! I could need a few of them right now. I can't get the consistency and caramelisation right using a silicone mold. Think I need the traditional copper one's, or at least metal. That's a beautiful very elegant dessert. I do agree with Jessica about the silicone molds. 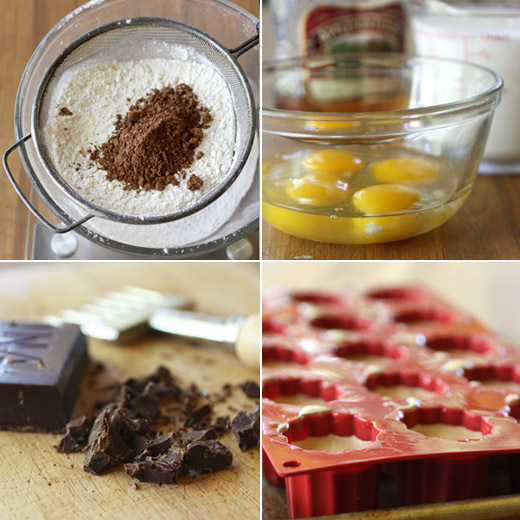 The cooking book sounds very interesting with creative, new ways to prepare desserts. Cheers! No matter what you bake them in I am sure they were delicious!! I bet your version would be wonderful! Wow, these look gorgeous. Two of these mini-caneles with a coffee at about 11 o'clock would be perfect! I'm impressed by anyone who can make cookies look decent! This book sounds amazing! I love learning more about the science behind baking. And these canneles are seriously gorgeous! Oh, such spectacular canneles, Lisa! Good call on buying the silicone molds...they worked beautifully! Yum, Lisa! Those look fabulous. I have made canneles, have the same mold you do. But these are over the top. Must try them next fall. Perfect for tea. Sounds like a great book. I'm not making too many fussy, very precise recipes these days but still, it's nice to look at such beautiful creations,. 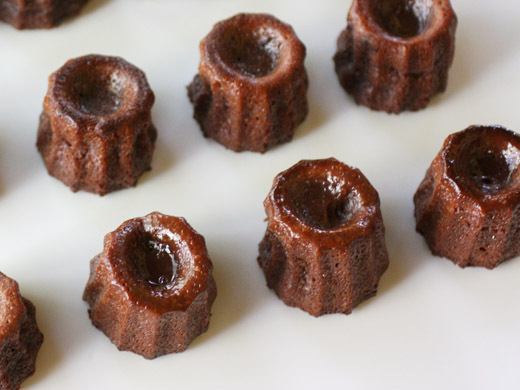 Your canneles look lovely- it seems the silicone mold works perfectly fine. i had my doubts that the silicone molds would work, but they seem to have done a sufficient job! these are stunning Lisa! I am in awe of your skills!